This year Tu B&apos;Shevat, translated as the 15th day of the Hebrew month of Shevat, begins in the evening on Wednesday January 15, 2014 and ends in the evening on Thursday January 16th, 2014. This "New Year for the Trees" holiday marks the beginning of the slow process when the trees begin blossoming and flowering with new life and new fruit. 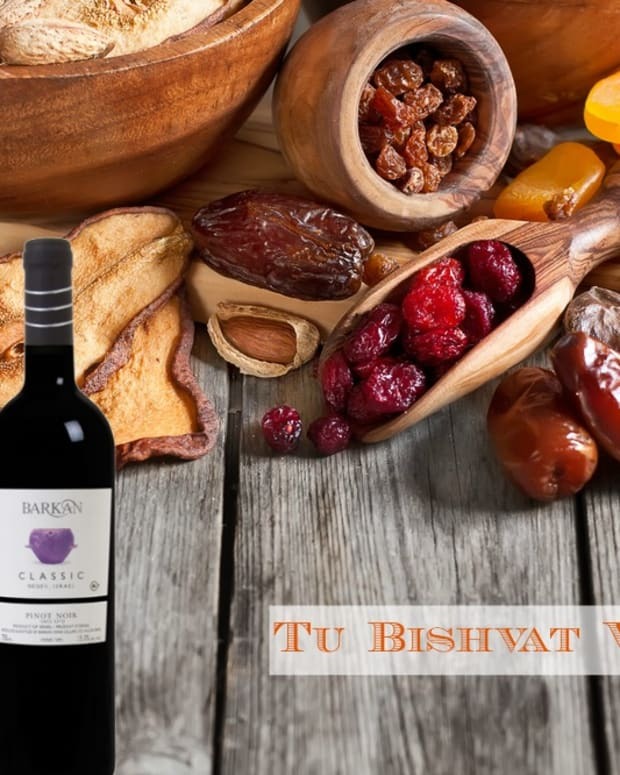 In our home we find it especially meaningful to eat something from all of the Shiv&apos;at HaMinim, seven species of the land of Israel – wheat, barley, grapes, figs, pomegranates, olives and dates – that have a special significance in Judaism. So now that you know what&apos;s what, I&apos;m sharing my favorite recipes featuring each of the seven species. 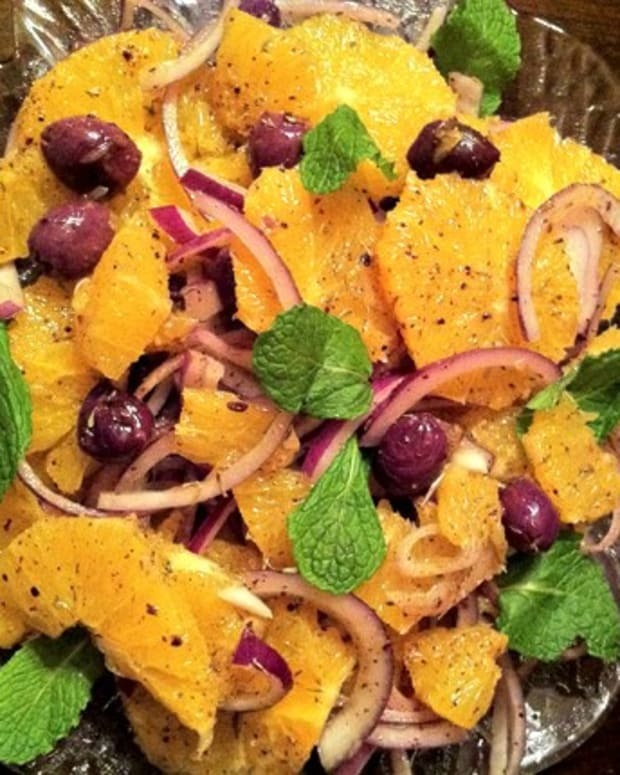 This here is my signature Shivat Haminim Salad. 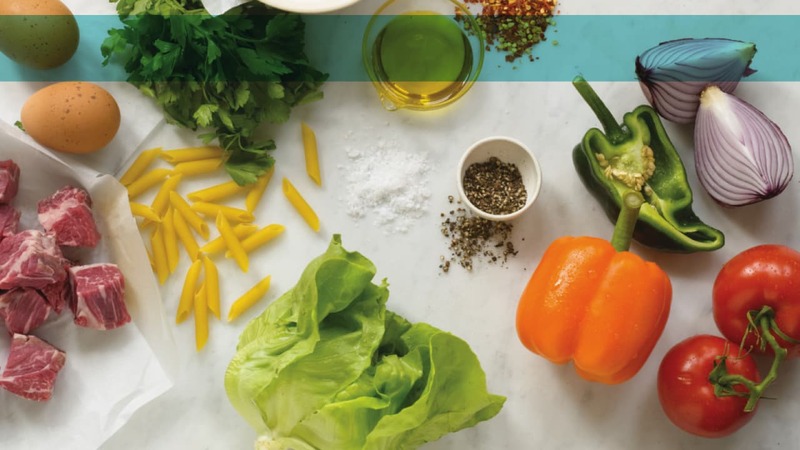 There certainly is somethin&apos; for everyone here to the tune of all 7 agricultural products enumerated in the Torah as special to the Land of Israel. 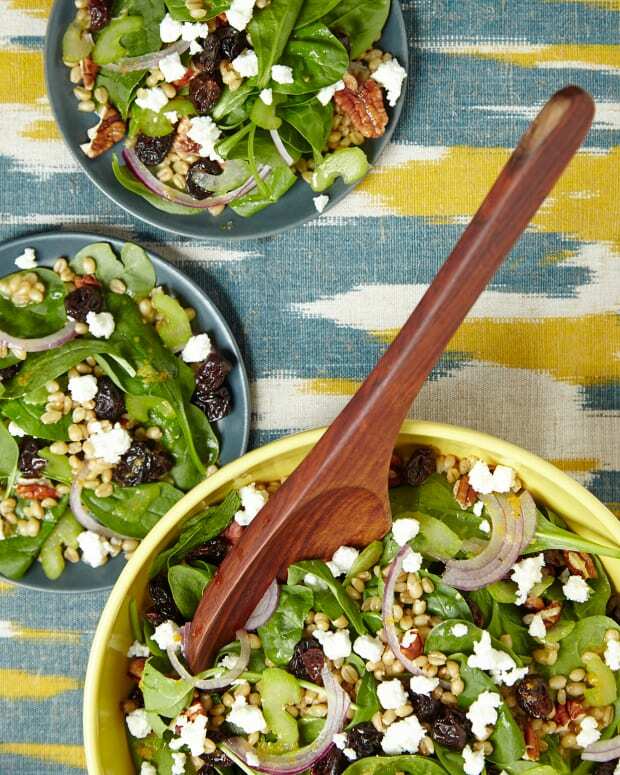 Barley, wheat, figs, dates, grapes, pomegranates and olive (oil) are all represented in this salad. 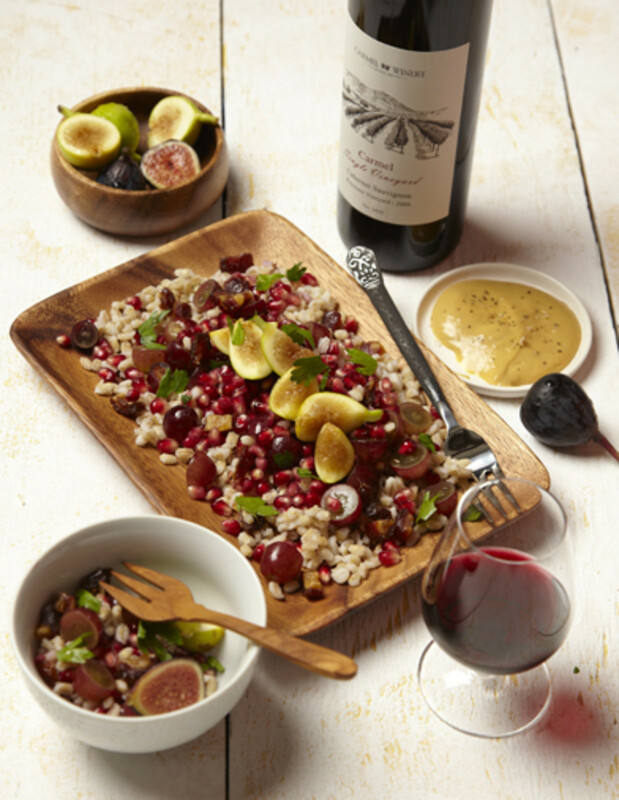 The honey is a nod to the land of milk and honey and even the red wine vinegar is a further play on the grape theme. 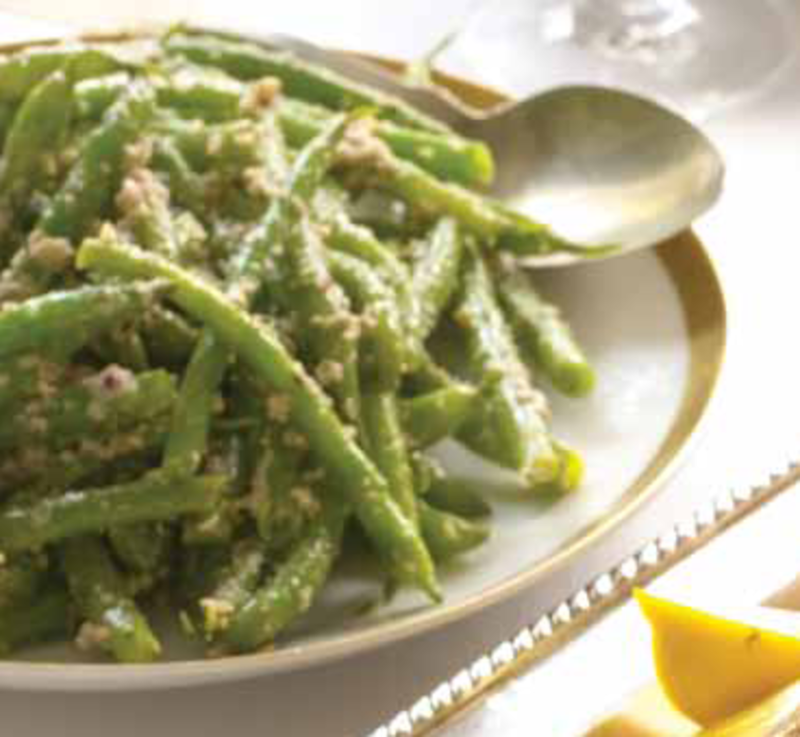 Make this and you will have done this holiday proud. 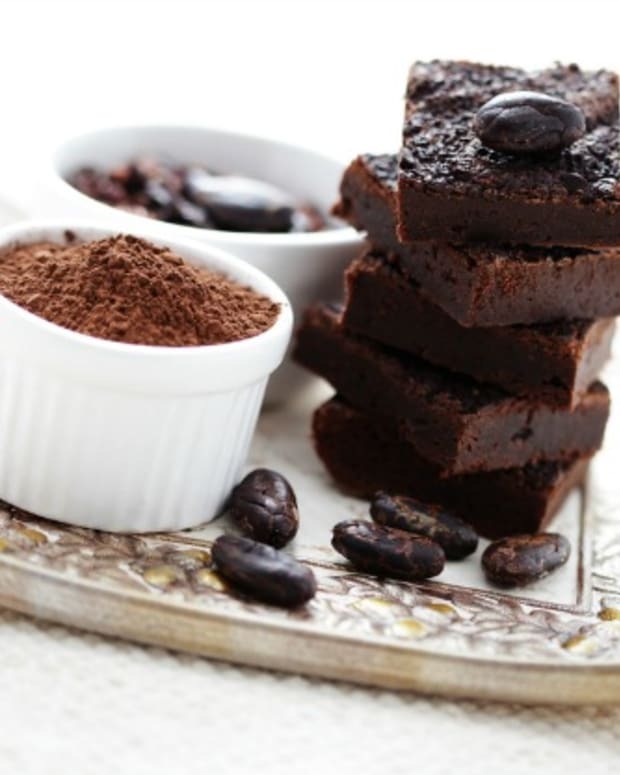 For single ingredient inspiration continue to scroll down. 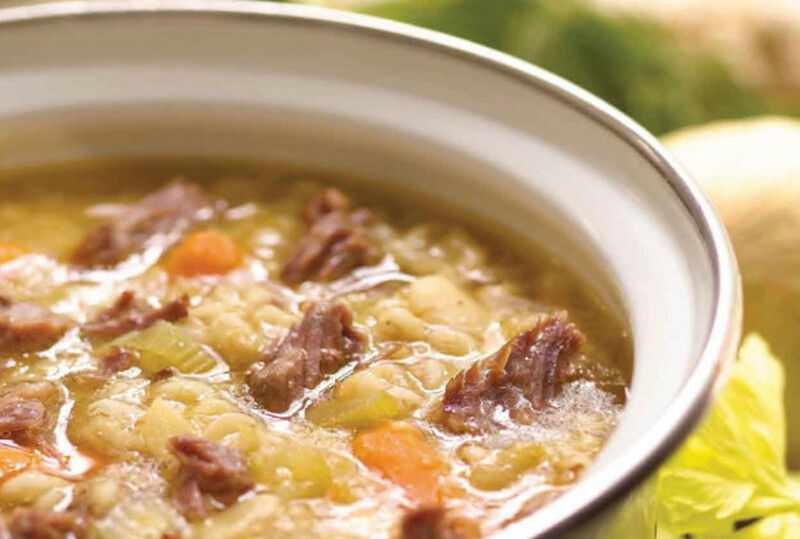 My soothingBeef and Barley Porridge is a hearty winter soup that eats like a meal. 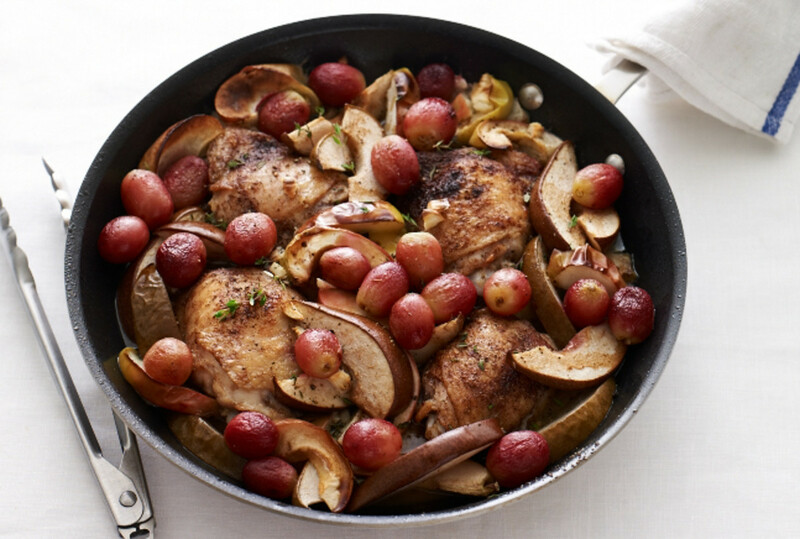 Roasted grapes adorn chicken thighs along with winter fruit for a sweet and savory main. 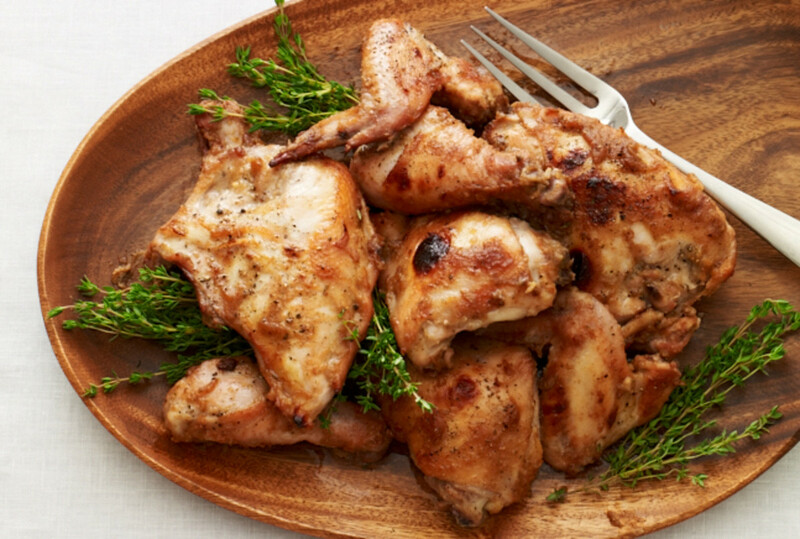 For a sweeter chicken dinner do my Date Glazed Roast Chicken. A light (green!) side, serve this warm or at room temp and double the tapenade for an awesome olive dip that will last in the fridge for a week. 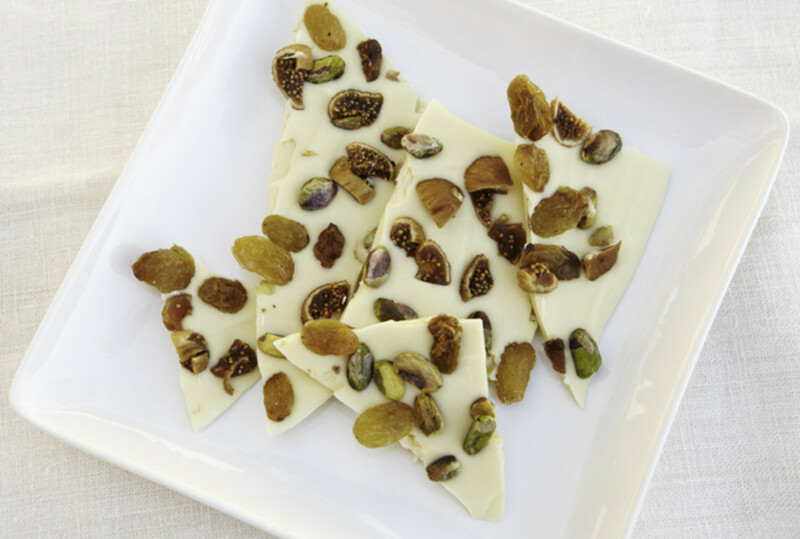 Featuring figs this beautiful bark combines creamy white chocolate with delicious dried fruits and nuts for an elegant but simple dessert, treat or gift. 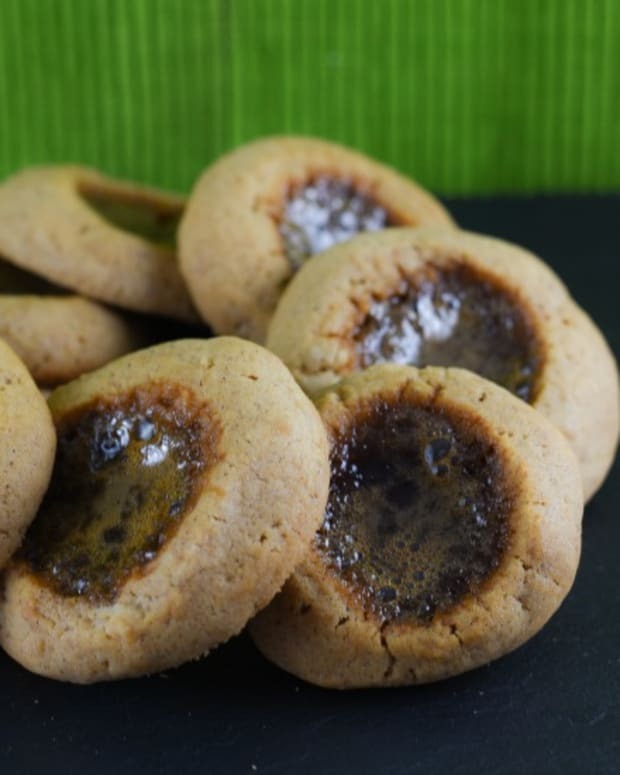 Goes great with semi sweet or bittersweet chocolate too! 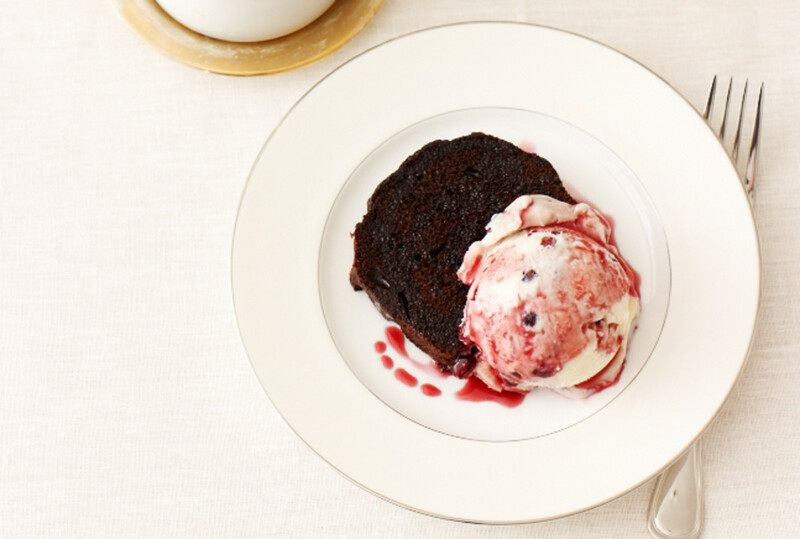 Semi-homemade Pomegranate Swirl ice cream is brilliant with a fudgey brownie or slice of rich chocolate cake. Leave a comment and let me know how you celebrate Tu B&apos;Shevat. 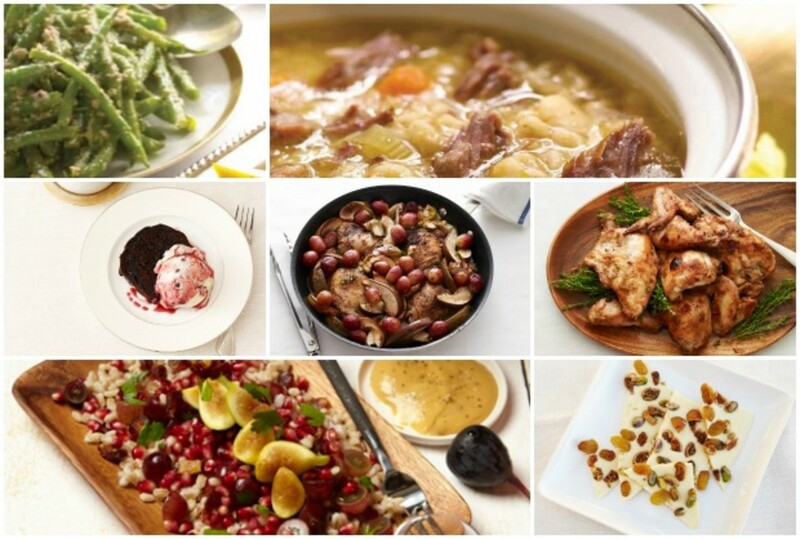 Follow JoyofKosher&apos;s board Tu Bishvat on Pinterest. 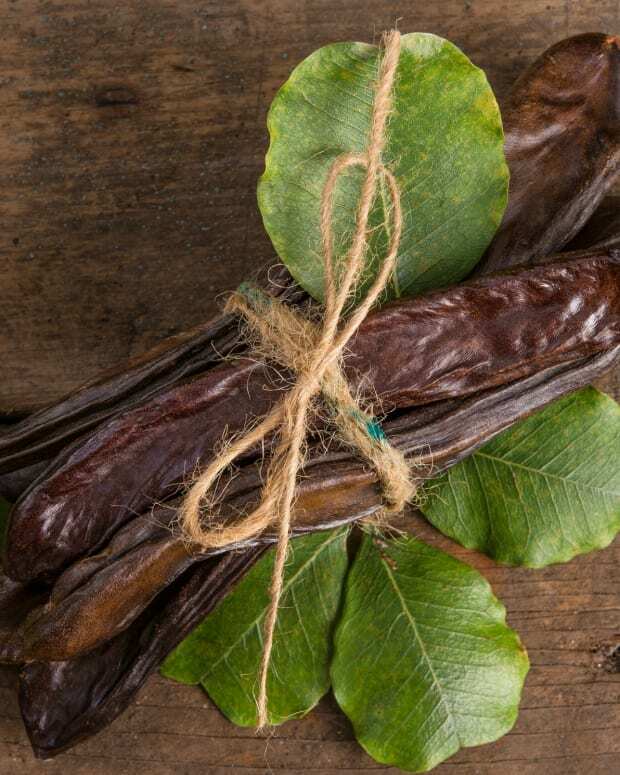 Why Eat Carob on Tu B'Shevat?